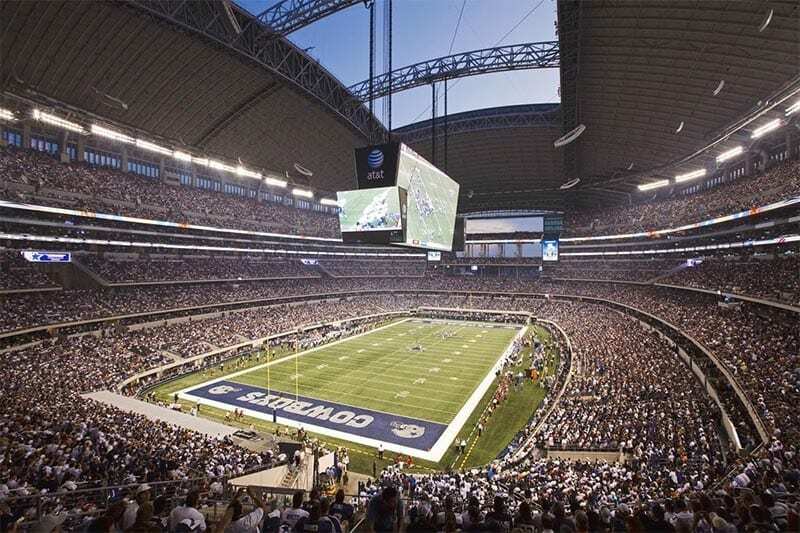 The first NFL draft held at a stadium has proven a windfall for the host city, Dallas. THE first NFL draft hosted at an NFL Stadium has proven to be a financial success for host city Dallas. Economic impact reports compiled by VisitDallas the 2018 draft generated $125.2 million in economic impact for the Dallas region during the 3-day event and $74 million in direct spending during the three day event. This marks a new record for the NFL Draft’s economic impact and the first year that the NFL Draft generated more than $100 million in economic impact for its host region. The Destinations International calculator is an industry-wide standard that enables the determination of the economic value of an event hosted by the city and its impact on the local economy based on measurements adopted by destination marketing organisations nationwide. “The Draft in Dallas once again raised the bar for host cities for what has become one of the most- anticipated sporting events of the year,” said Peter O’Reilly, NFL Senior Vice President, Events & Club Business Development. The 2018 NFL Draft attracted football fans of all ages for the largest free football festival in league history and has grown into one of the biggest sporting events of the year. A record crowd of more than 100,000 fans attended the opening day of the NFL Draft and the NFL Draft Experience on April 26, making it the highest-ever attendance for the opening day of the Draft. Overall, the 3-day event was attended by more than 200,000 fans. “When hosting any major event, we engage all of our region to ensure the impact of the event is truly felt for years to come. We believe the NFL Draft has been one of our most successful events, specifically, from a community engagement standpoint,” Chief Brand Officer of the Dallas Cowboys Charlotte Jones Anderson said. Data compiled from on-site attendee surveys also showed that 60.5% of all Draft attendees flew to North Texas for the events and that the local share of day visitors was 85.3%. The NFL Fan Mobile Pass also set a record for registrants for the NFL Draft ticket lottery. More than 463,000 fans from all 50 states registered for an opportunity for free tickets to one of the three days of the Draft. “Dallas has a great history of hosting premier sporting events and we were honoured to partner with the NFL and the Dallas Cowboys to provide this opportunity for our communities,” said Monica Paul, Executive Director of the Dallas Sports Commission. The 2019 NFL Draft will take place April 25-27 in Nashville, TN.